Item # 317227 Stash Points: 2,495 (?) This is the number of points you get in The Zumiez Stash for purchasing this item. Stash points are redeemable for exclusive rewards only available to Zumiez Stash members. To redeem your points check out the rewards catalog on thestash.zumiez.com. Let the world know how much Jesus loves to slap trap music in the Artist Collective Jesus Loves Rap Black T-Shirt. 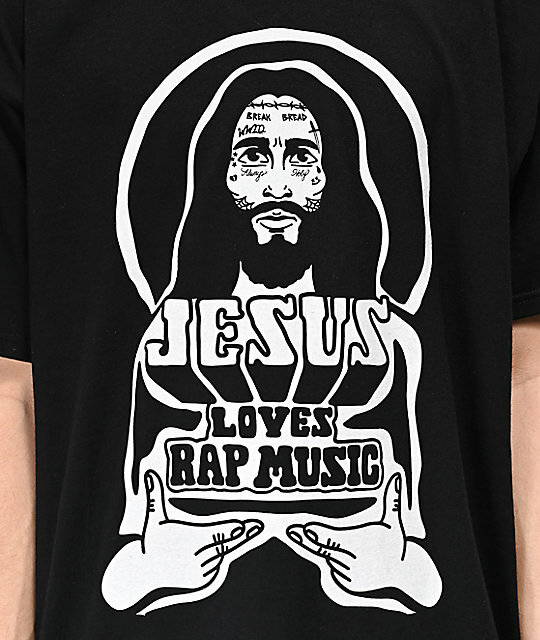 This comical t-shirt features an all-black and tagless construction, while the center chest comes with the screen-printed image of the religious deity covered in tattoos with the words "Jesus loves rap music" below for a fun look. 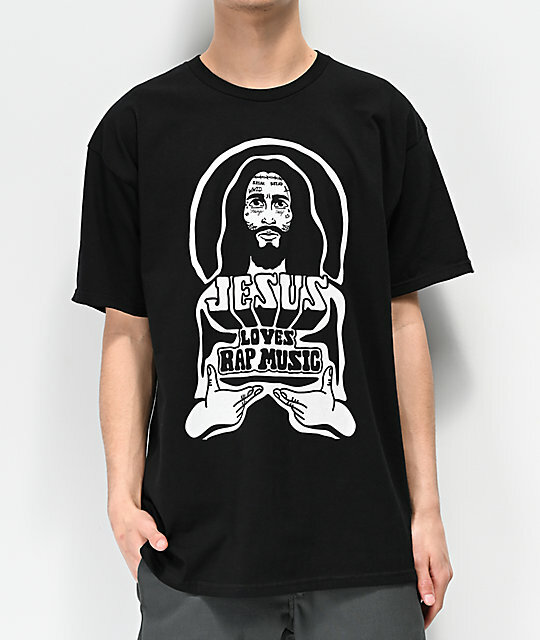 Jesus Loves Rap Black T-Shirt from Artist Collective. Screen-printed graphics at the chest of a tattooed Jesus with script below.